The first tab of the menu shows actual syslog messages received from the devices configured to send their syslog to a remote server. You have the ability to search through all the logs by specifying a string pattern from the hostname field or from the message text itself. The color coded severity of each message is displayed as well. 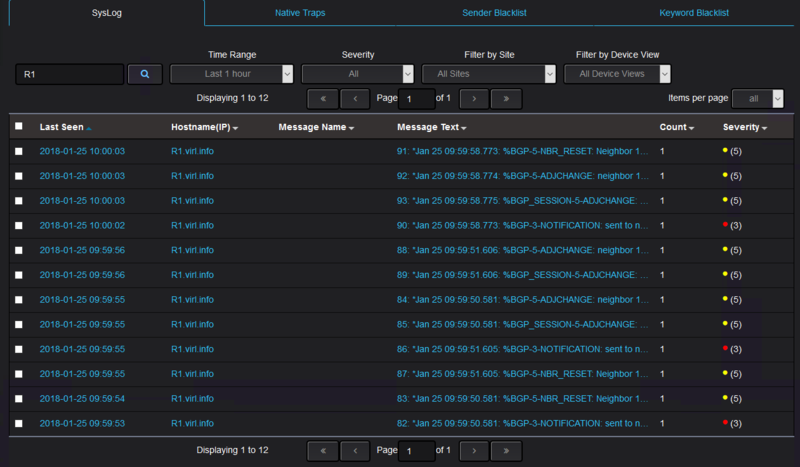 There is an option to filter out Syslog messages based on the source (the IP address of the device sending the syslog message) or based on specific keyword. This is called blacklisting. To avoid receiving the messages from specific device you can add sender’s IP address to Blacklist. You can filter out even more to discard specific messages from specific sources. So in this moment, there are two blacklisting parameters set. Sender IP(R2) and keyword (OSPF-5-ADJCHG). So what will take precedence? This can be read like this: if any message is matched by the keyword, then discard that message and if the source is matching the sender, then discard all the messages from that sender. With this in place, let’s see what is happening when GigabitEthernet0/1 from R2 is shutdown again. 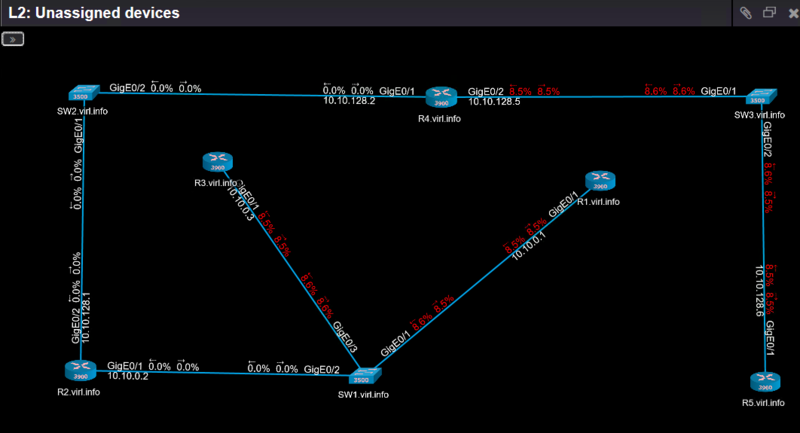 Observe that on both of them OSPF adjacency messages are seen. Now, let’s see what Nectus5 is showing. You have the ability to control what messages are received and from which source, to group the messages by on severity and even export the messages to a third party application.